Fifty eager participants from Gingin to Eneabba took part in the “Citrus and potato tour” hosted by West Midlands Group (WMG) and Dandaragan Community Resource Centre (CRC) held recently. 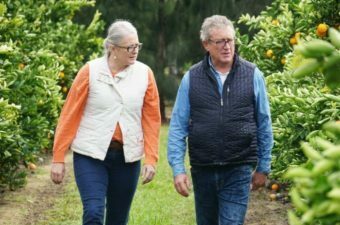 Participants had the opportunity to hear firsthand from Michael Brennan; co-owner of Moora Citrus. Michael explained how the operation first began, the establishment of the trees through to harvesting and packaging the citrus to supply to market. At present, across the 210 ha property there are 5,000-6,000 tonnes of citrus produced from 170,100 trees. Picking begins at the end of May through to November with all fruit being handpicked. Michael went on to explain that one of the advantages of having the orchid based near Moora is the warmer climate. 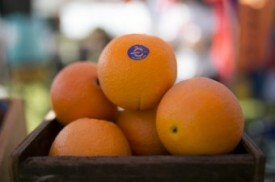 The sugar levels in the citrus tend to be higher therefore making the fruit taste sweeter. 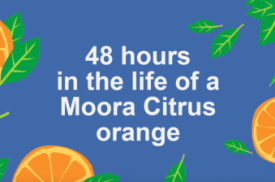 In the future, Moora Citrus hope to expand the area planted and to one day have a packing shed. To conclude Michael said “we are very fortunate in able being to employ really great people who have become our family”. Attendees had the delight of tasting the citrus straight from the trees. Some of the comments were “we haven’t tasted these sort of oranges since we were kids” and “these are the tastiest oranges we have ever had”. After a delicious morning tea, the tour then headed to Ryan’s Potatoes. Brad Ryan explained how the Ryan brothers first began growing potatoes in Pemberton in the 1950’s and have since expanded. “By growing potatoes in Dandaragan, we can now grow potatoes all year round” explained Mr Ryan. The country is undulating with a varied soil type of deep sand, sandy earth and ironstone gravelly soil. The lighter soil is an advantage as the potatoes grow with less defects. The heavier soils contain rocks which can bruise the potatoes. The tour group also had a look in the potato packing shed where the Ryan’s employees were busy sorting the different grade of potatoes ready for market. During lunch, potato chips were served as tastings straight from the paddock! 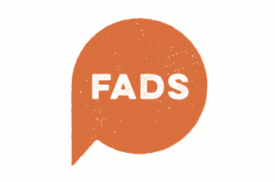 Feedback from participants was that it was a great day out. WMG together with Dandaragan CRC would like to thank the bus driver, Greg Manning for donating the use of his bus as well as his time to drive it around to the different properties. We would also like to thank Landmark for being the event sponsor plus everyone at Moora Citrus and the Ryan family for showcasing their properties and sharing their knowledge. Article source: West Midlands Group.